Continuous glucose monitoring (CGM) brings many people with diabetes better insight into what is happening with their blood sugar levels in the present and over time, with a lot less hassle. A CGM is a small, wearable device system that tracks glucose throughout the day and night. Some systems notify users of highs and lows so they can take action when needed. All systems substantially minimize the need for fingerpricking. Get started with CGM by calling the Healthy Living CGM Therapy Team at 866.779.8512 (Option 2) or texting us at 248.577.9903. We will give you a free benefits check to help you understand your coverage and walk you through the next steps, even contacting your doctor's office for you. From start to finish, a CGM enrollment will take commercial and Medicare members roughly 1-14 days, depending on the turnaround on paperwork from the doctor's office. Are you thinking about a CGM and looking for more info about different systems? Sysy Morales from Diabetes Daily reviewed the FreeStyle Libre in an article called "Why I'm Loving the FreeStyle Libre 14 Day System." Our blog will include some highlights of her review. "The FreeStyle Libre 14-Day doesn’t include alarms like the popular Dexcom CGM systems but it is less expensive and so possibly more accessible for many people...For my daughter, I want the system with alarms, of course, and the FreeStyle Libre 14-Day system is not approved for anyone under 18 right now, anyway." "Being mechanically inept, I got nervous when following the instructions on how to insert the sensor but I managed it successfully…if you’re worried about it sticking I’d get two alcohol swabs and rub, rub, rub, letting the area fully dry before applying." "What I didn’t realize for about one week is that the graph on the reader shows you what your blood glucose has been in the hours before your last finger stick so you can see what your blood sugar has been doing and if you’re trending up or down or hanging steady." "The alarms with the Dexcom G6 were so incredibly helpful for keeping tight glucose management but also a bit jarring during times of stress...[with the Libre] I could check as often as I wanted and look at my graph and feel very much in the know without having something dictating when I would do that." "I’m still sensitive to how I come off to others despite how hard I’ve worked at this over the years. Doing a finger stick check in front of people in a public setting, while I’ve done it thousands of times, still makes me uncomfortable...I also hate checking in places that gross me out, too." "I got the ‘check blood glucose’ symbol about 5 times over the two-week period so I checked my blood sugar those times. My blood sugar was within 30-40 points of what I was getting from the FreeStyle Libre 14-Day system. I also checked a few other times with a finger stick just to assess accuracy. Those times my blood sugar reading was always within 10 points of the FreeStyle Libre 14-Day system. So I felt comfortable dosing off of it but did pay attention and look out for the symbol indicating a finger stick was needed." "While I didn’t have problems with the size and weight of the Dexcom G6 sensor, I found the FreeStyle Libre 14-Day sensor even easier to wear. It’s pretty flat and while heavy, the smooth, circular shape, in my opinion, helps keep it on and feeling balanced. I forgot I had it on." For Morales's entire review, click here. To find out more about getting started with a FreeStyle Libre or other CGM system, including a free benefits check, contact our CGM Therapy Team at 866.779.8512 (Option 2) or 248.577.9903 (text). Siri Assist – You can now ask Siri to read Dexcom G6 glucose readings aloud and display graphs directly on the lock screen. 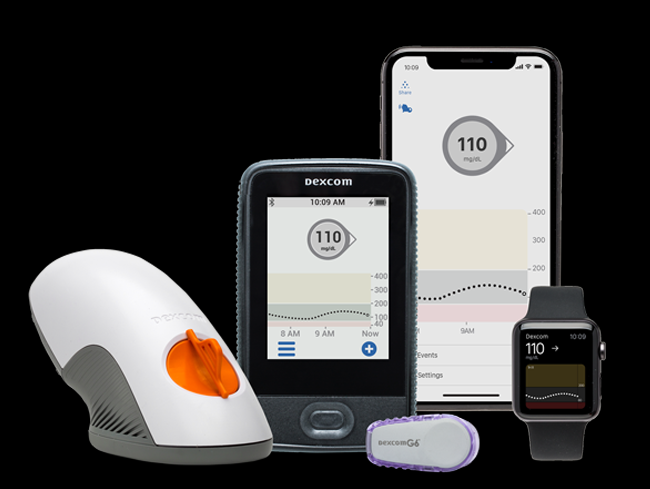 More Followers – With an expanded Dexcom SHARE function, you can now share glucose readings with up to 10 people (in the past the max was five). 24-hour Sensor Expiration Reminder – The app now offers an automatic 24-hour reminder before it’s time to replace a sensor, in addition to the existing 2-hour and 6-hour reminders. CLARITY App at Your Fingertips – You can now launch the Dexcom CLARITY app directly from the Dexcom G6 app for more retrospective glucose reports, rather than having to exit the G6 app and go into the separate CLARITY app. Extra Integration – They've also added a feature allowing Google Fit to display Dexcom G6 data on a three-hour delay (this lag is a regulatory hurdle being discussed with FDA). Apple Watch Feature – Users can also add an icon to check their glucose level when customizing the face of their Apple Watch Series 4. Unfortunately, Dexcom doesn't yet allow for direct-to-watch functionality; you still need the smartphone as the middleman between the CGM and Apple Watch. Learn more about Dexcom CGM here. When we learn more and dig a little deeper, we often come out with better understanding and more compassion. Jennifer, a business development team member with Healthy Living, is trying out the Freestyle Libre CGM for 14 days to help all of us better understand the technology and the patient experience using the sensor and reader. This is similar to the Healthy Living Wear-a-Pump Challenge from a couple of years ago when several team members lived life using an insulin pump for a week! We are excited to hear what Jen will learn from her firsthand experience with the Freestyle Libre CGM system. Learn more about the Freestyle Libre and how to get started. Many more choices for insulin pumps and CGM are becoming available to Medicare members as diabetes technologies continue to progress. And even more exciting, many companies are starting to work together more closely to integrate their separate insulin pump and CGM systems to create even greater advancements. In today's post, we want to point out the benefits of combining the Tandem t:slim X2 insulin pump with Dexcom continuous glucose monitoring (CGM) for better diabetes management. The t:slim X2 pump can be upgraded when new technologies and features become available. For example, Medicare members who qualify can currently access the Dexcom G5 CGM system, and we anticipate the more advanced Dexcom G6 system will be available to Medicare members on April 1st. If a patient is currently using the t:slim pump with a G5 system and upgrades to using the G6 system, all the patient will need to do is update his or her t:slim X2 pump with the latest software OR if they already have the t:slim pump with Basal IQ, they can integrate their Dexcom G6 after viewing a brief online training video. This ability to upgrade the insulin pump's software is unique to Tandem systems. Medicare members are eligible for a new pump every five years, and in that time span there can be many advancements in diabetes technologies that can potentially leave a user behind on newer, beneficial improvements. As we mentioned, with the Tandem t:slim pump, a Medicare member can easily update the pump to keep it current with the latest technology. This will soon prove a great benefit as we anticipate Tandem to release their "Control iQ" feature within the year. This will allow the pump, when paired with the Dexcom G6 system, to autonomously deliver more insulin when blood glucose levels are high. The Tandem t:slim is an easy-to-read, color touchscreen pump - and it is super easy to use. Want to try it out for yourself? Tandem offers a free simulator app for Medicare members to install on iPhone or Android devices right now. This simulator app provides users with the opportunity to test the experience of using the pump along with the Dexcom G6 system before deciding to make the purchase. Learn more about the Dexcom G6 CGM system here. The sensor on the left is the Dexcom G6 CGM, and the sensor on the right is their new CGM, expected in about two years. This new device was previously described as "the thinnest CGM ever." This information came from the diaTribe blog. According to diaTribe, "This sensor will be made widely available to people with diabetes who are on intensive insulin therapy (pumps or multiple daily injections) and those with type 2 diabetes on pills or no medication." This is an exciting technology to look forward to for better diabetes management for more people. We'll keep you in the loop as more news emerges from Dexcom. To learn more about CGM options available today, call us at 866.779.8512, Option 2. It's an excellent time time of year to go on an insulin pump, upgrade an out-of-warranty pump, or start using CGM...or at least investigate your options! 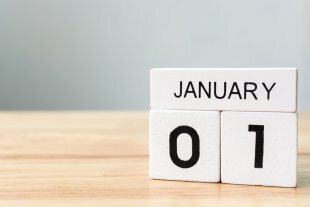 For many people on commercial health insurance plans, deductibles are satisfied and reset on January 1st of the new year. Reach out to the Healthy Living Insulin Pump & CGM Therapy Team for a no-cost insurance verification to find out more about your coverage and costs. Reach us at 866.779.8512, Option 2 (phone), 248.577.9903 (text), or via chat at myhlms.com. We recently highlighted the awesome news that Medicare now covers CGM for eligible beneficiaries. But how to qualify, and how to get started? Here, we will outline the requirements and the process for obtaining a continuous glucose monitor (CGM) as a Medicare member. Really, the simplest strategy is to start by calling us and speaking with Adam or George on our Insulin Pump & CGM Therapy Team. They will walk you through all of the information that follows! An interested Medicare member (you) calls us about CGM. We handle the communication with the doctor’s office to obtain the necessary documentation, including blood sugar logs, labs, and chart notes. We ask you to contact your doctor’s office to follow up, which often speeds up their response time. Healthy Living emails or mails you an Assignment of Benefits (AOB) form to sign and return (the format is your preference). After approval, your Dexcom G5 CGM and supplies will be shipped as a bundle, including transmitter, sensor, receiver, test strips, lancets, meter (if needed), and control solution. We will set you up for refills every 90 days, which you can approve via text, phone, or email. To learn more, please call us at 866.779.8512 (Option 2) and speak with George or Adam. Our team is knowledgeable and well-prepared to help you obtain a CGM to better manage diabetes! A professor at the University of Central Florida, Elizabeth Brisbois, is working to develop a cannula that can be left in place for as long as 30 days while effectively delivering insulin into the body. Cannulas are small tubes that are inserted beneath the skin to deliver insulin into the body as part of an insulin pump system. The cannula can either be part of the infusion set or attached to the actual insulin pump. Normally, over time, the body’s immune system attacks the cannula, with cells creating a film around the cannula that begins to inhibit proper insulin delivery. That is why infusion sets normally need to be changed every two to three days to reduce the risk of infection. Brisbois’ goal is to create cannulas that have a lower risk of infection and inflammation, with reduced pain and inconvenience for patients. She and her team are developing cannulas that release nitric oxide, a molecule that can kill bacteria. Nitric oxide is also produced in the body to fight off germs and has an important role in wound healing. This advance could significantly increase quality of life for people living with type 1 and type 2 diabetes. Brisbois and her team are funded by a recent grant from the JDRF and are collaborating with researchers at the University of Georgia. Learn more about the cannula research here. News has been circulating that Apple has been developing a non-invasive sensor to continuously measure blood glucose levels since last year. In fact, this tracker has been said to become the “holy grail” in diabetes. In August, a patent was published that potentially offers clues into Apple’s rumored non-invasive monitoring solution. Apple submitted a patent application in 2015 for “Reference switch architectures for noncontact sensing of substances,” a method by which an electronic device can be calibrated to measure the concentration of a particular substance in a given sample. This is an optical system that enables determination of the concentration of a target substance by applying light with known properties to a sample. Although the patent documentation does not specifically explain what substances this proposed system might be used for, it resonates with rumors that Apple is working on a non-invasive glucose monitoring solution for use in their Apple Watch. Learn more about the science behind Apple’s patent application at appleinsider. Healthy Living provides leading continuous glucose monitoring (CGM) systems that monitor blood glucose levels in real time for Blue Cross Blue Shield, Health Alliance Plan of Michigan (HAP), Priority Health and Priority Health Advantage, and Medicare members. CGM helps people living with type 1 or type 2 diabetes make more informed treatment decisions that lead to better glycemic control. To learn more, call 866.779.8512 (option 2) to speak with a member of our Insulin Pump & CGM Therapy Team! The Tandem Basal-IQ predictive low glucose suspend (PLGS) system has recently been approved by the FDA for pump users as young as six years old. It is a feature of the newest Tandem t:slim X2 insulin pumps (and available as a software update for older t:slim X2 pumps), working in collaboration with the Dexcom G6 continuous glucose monitoring system (CGM). The new PLGS algorithm stops basal insulin delivery when low blood sugar is predicted (30 minutes ahead of time), suspends, and then restarts insulin delivery once blood sugar levels begin to rise. The goal is to prevent or reduce hypoglycemia (low blood sugar) in users, without alarms. The American Diabetes Association defines hypoglycemia: “Low blood glucose (hypoglycemia) is when your blood glucose levels have fallen low enough that you need to take action to bring them back to your target range. This is usually when your blood glucose is less than 70 mg/dL.” Study results have shown that the Tandem Basal-IQ predictive low glucose suspend system reduced time in hypoglycemia by 31%, or about 19 minutes per day. The Basal-IQ system is also the first automated insulin delivery system compatible with a no-fingerstick calibration CGM (the Dexcom G6). All of the Tandem t:slim X2 pumps shipping from Healthy Living Medical Supply now have the updated Basal-IQ PLGS algorithm. If you already have a Tandem t:slim X2 pump and it’s in warranty, you will be able to get a software update to obtain the new algorithm. The Basal-IQ Technology software update for the t:slim X2 Insulin Pump is now available – get started here. The collective capabilities of insulin pumps and CGM keep wowing us! To find out more about new ways like this to help manage diabetes, call our Insulin Pump & CGM Therapy team at 866.779.8512 (option 2). We are here to help! We're excited to share that Healthy Living Medical Supply is now shipping the Medtronic Guardian Connect CGM system! This is a great technology option for any patient who is taking insulin via injections and who isn't quite ready for an insulin pump. Read more about the Guardian Connect CGM system at the Medtronic website. What is CGM? CGM stands for Continuous Glucose Monitoring and is a small, half dollar sized device that goes on your body and measures blood sugar levels every five minutes or roughly 288 times per day. What are the benefits of CGM? We've written about this here on our blog before, but in short CGM reduces the number of daily finger sticks while giving patients much greater insight into what is happening with their body's sugar levels. Medtronic Guardian Connect's stand alone CGM system takes readings every five minutes or 288 times throughout the day and night - this is significantly more information than is yielded through finger sticks alone. What are the top benefits of Medtronic's Guardian Connect CGM System? 1. The data is automatically uploaded directly to the physician's office via Medtronic's CareLink platform. 2. Predictive alerts for highs and lows are sent out 60 minutes in advance. Predictive alerts are sent out 40 minutes faster than the competition. 3. IBM Watson integration creates actionable trends from user CGM data. 4. Last but not least, Medtronic's Guardian Connect CGM system is significantly less expensive for the patient and health plan in comparison to the competition. Why? Because the transmitter lasts for one year, no receiver is needed, and a month's supply comes with five sensors for a total of 35 days of wear time. This means lower copays for patients, longer sensor wear time and a lower spend for the health plan. Most major commercial insurances, including Blue Cross Blue Shield of Michigan and Health Alliance Plan of Michigan (HAP), will pay for CGM. Contact Healthy Living Medical Supply today at 866-779-8512 to learn more and to begin the easy enrollment process. Michigan Residents: Keep your business local! Healthy Living Medical Supply is the only locally owned and operated diabetes speciality provider in the state of Michigan...and we provide world class customer service! Great news, the Dexcom G6 system is now shipping from Healthy Living Medical Supply! The new system features a longer wear time on the sensor (10 days), Acetaminophen blocking, finger stick free approval from the FDA (imagine avoiding over 1000 finger pokes per year! ), smart phone integration, an improved applicator, and FDA indication for pediatric patients two years and older. Do you live in the State of Michigan and have a commercial insurance such as Blue Cross Blue Shield of Michigan or HAP? If you currently work direct with the manufacturer or another supplier for your CGM, call us now at 866-779-8512 to start the simple process of converting to to the only diabetes specialty DME (Durable Medical Equipment) company that is locally owned and operated in Michigan. It seems like nearly every day there is more great news in terms of the development of new technologies to empower people living with diabetes...the latest is from Insulet and their Omnipod Dash system, which recently received approval from the FDA. 3. Compatibility with one of the leading test strip brands on the market, Contour Next. The system will be slowly released to patients in 2018 prior to the widespread launch in 2019. Most major commercial insurances, including Blue Cross Blue Shield of Michigan and Health Alliance Plan of Michigan, pay for Omnipod as a durable medical equipment benefit (DME). Healthy Living Medical Supply is a leading DME specializing in diabetes services and technologies and will be ready to provide this technology to patients when it becomes available soon!